It was a challenge to find the right approach in order to review this album. The songs on Themes for Television were created to be used on David Lynch’s Twin Peaks: The Return series, which is quite fitting because Jewel has always seemed like a Lynch acolyte; his music highly referential to the moods and sounds of Lynch’s work. Further, Jewel’s sonic style seems directly influenced by Lynch’s longtime musical collaborator, Angelo Badalamenti—ethereal keyboards, wailing saxophones and the kind of brushed-cymbal, dive-bar, slinky-jazz that compels listeners to get drunk and make mistakes. The critical challenge is separating the music from the David Lynch program it was commissioned for. How does one take an album like this on its own merits—even though said merits are directly tied to the influence of David Lynch… it’s a bit of a conundrum. Johnny Jewel reportedly recorded more than 20 hours of music for Twin Peaks: The Return. With that said, none of it was used for the series. Lynch did use Jewel’s band, The Chromatics, for the soundtrack as well as other Jewel material but nothing directly from the 20 hours of work ended up making the cut. Though, technically, everything on Themes for Television is previously unheard, the hour of music chosen for the album is highly evocative of the classic Twin Peaks (read: Badalamenti) vibe. What’s new however is the influence of Jewel’s other major soundtrack heroes, Vangelis, John Cage and Giorgio Moroder—to whom references can be heard throughout Themes for Television. This is a major plus because the Lynch/Badalamenti pairing, while still vital, can get bogged down in ad nausea rehashes of their previous collaborations. Themes for Television’s opener, “Requiem” is a roiling, synthesized wave of a piece that comes and goes so quickly it almost doesn’t have time to fully materialize. And yet, “Requiem’s” brevity is quite welcome. It’s not flashy but nor is it too subtle to be appreciated. It’s a perfect sonic bite showcasing Jewel’s intended direction for Lynch’s work—think the Blade Runner soundtrack or Cliff Martinez’s work on Drive and you’ll get the idea. A sort of neon, 1984, future sound that is somehow both kitsch and thoroughly modern, much like its composer. From the light, eerie, brushes-and-flute patina of “Loveless” to the intense wall of synth called “Red Curtains” to the almost found-sound dissonance of “Caffeine,” Johnny Jewel shows-off his understanding of the emotional range of David Lynch’s work. For Jewel, what seems to make Lynch so compelling is the quite natural way in which Lynch incorporates the artificial into his work—showing, not telling. Similarly, Jewel creates fields of electronic noise over which he’s unafraid to place a fragile vocal track or a ripping sax solo. Apparently, the confident work of an auteur at the top of his game pairs quite nicely with that of a multi-instrumentalist who has been yearning for a chance to showcase the range and depth of his chops. “Nightmare,” one of the few tracks longer than three-minutes on the album, might just be the highlight of Themes for Television. 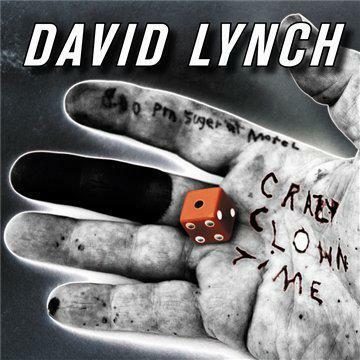 “Nightmare” pays homage to Lynch’s canon, conveys a feeling of unease and makes a case for Lynch to incorporate newer sounds into his work going forward. A funereal organ sustains an unpleasant, unbroken chord for more than a minute. Slight flourishes (cymbals and metallic clanks) only deepen the sense of unease. Then a jazzy strut of brushes on cymbals is laid down until that brief moment of serenity is broken by a clicking field of distortion that almost sounds like white noise—if white noise were programmed to wash in and out of a track like waves. “Nightmare,” in true Lynchian fashion, isn’t just scary: it’s unique, it’s very cool and it’s unsettling. With Themes for Television Johnny Jewel has crafted an album’s worth of homage that, like the works of David Lynch, transcends its medium to become something greater than the sum of its parts. I left Themes for Television wondering what a cut of Twin Peaks: The Return, one that utilized Jewel’s work, would feel like and imagining I might like it better than the original. 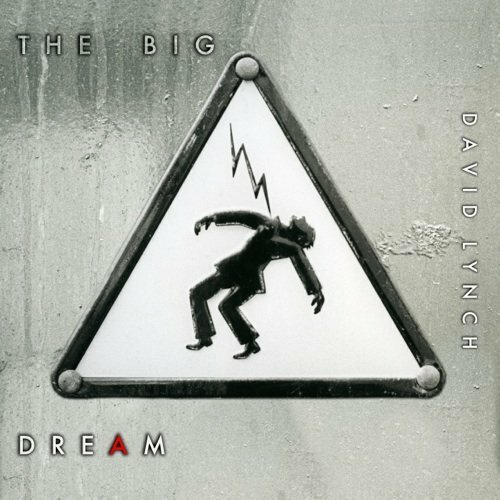 In short, while it is impossible not to talk about David Lynch in regard to Themes for Television, the album proves that Johnny Jewel is fully capable of making music that is both referential, and reverential, to Lynch while remaining fresh and unrestrained by Lynch’s singular style.